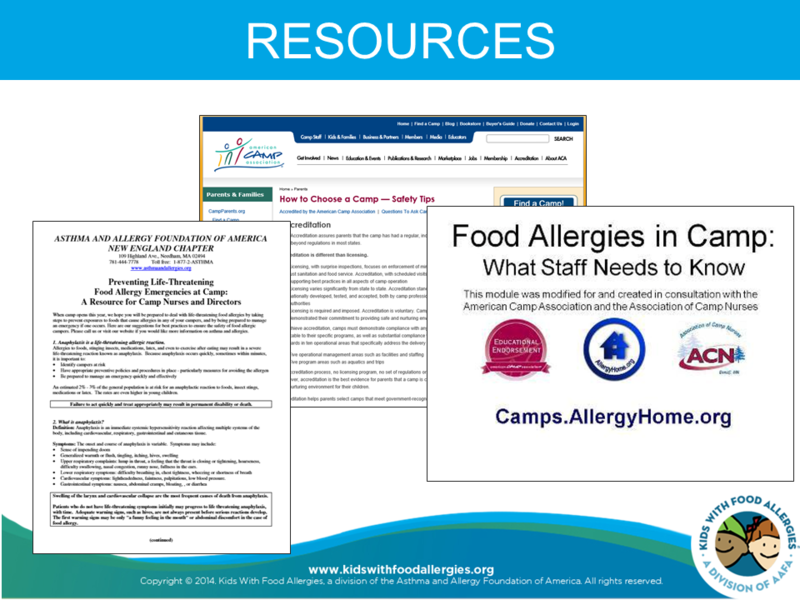 Kids With Food Allergies (KFA), a division of the Asthma and Allergy Foundation of America (AAFA), hosted a free educational webinar on March 10, 2015 called Off to Camp with Food Allergies. The webinar featured Michael Pistiner, MD, MMSc a pediatric allergist for Harvard Vanguard Medical Associates and voluntary instructor of pediatrics at Boston Children's Hospital, and Nancy Polmear-Swendris, MEd RN, the program coordinator for the University of Michigan's Food Allergy Program and a medical advisor for Kids With Food Allergies. Ms. Polmear-Swendris has also been a camp nurse for 30 years. We thank Mylan Specialty for providing an unrestricted sponsorship for this webinar. 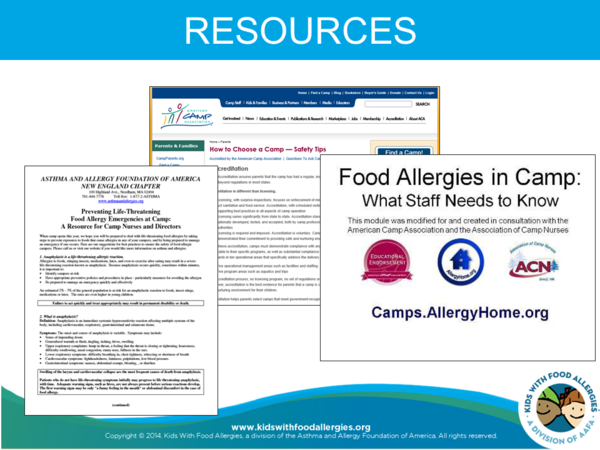 Use this guide to review key food allergy management principles and to inform other caretakers about your child's specific food allergies. This is a handy reference for play dates, birthday parties, camps and other drop-off situations. Do you find it challenging to help people understand what it means to live with food allergies? This free two-page handout can help. The question and answer format is ideal for giving to teachers, caregivers, camp staff or anyone else who needs accurate information. Research, advocacy and educational resources for asthma and allergic diseases. AAFA is the nation's oldest and largest asthma and allergy advocacy organization. Educational resources, free webinars, videos, support, recipes and more. KFA is a division of AAFA.